Thanks for your interest in Quality Power. We have been in the business of providing high performance and heavy-duty alternators and starters for over 20 years. The largest portion of our operation is dedicated to servicing emergency vehicles and the limo industry. From this experience, we have been able to determine which products will provide the highest output and which will stand up to the toughest environments. Our customers rely on us to provide them with this high standard of quality every time. Along with the parts we sell, comes our years of technical expertise. We are always willing to answer questions, assist in troubleshooting problems, or help find a solution to meet your needs. 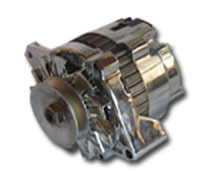 We carry a large stock of replacement alternators and starters in addition to what you will see on our website. Whether it is for stock, heavy-duty, or high performance we can provide an option. If you don?t see something that matches your application, just contact us and we will be glad to respond right away. You can contact us at: Qualitypower@aol.com or by phone at (909) 794-1600. If you are local, stop by and see us.